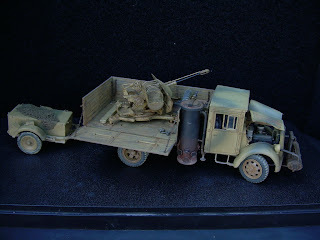 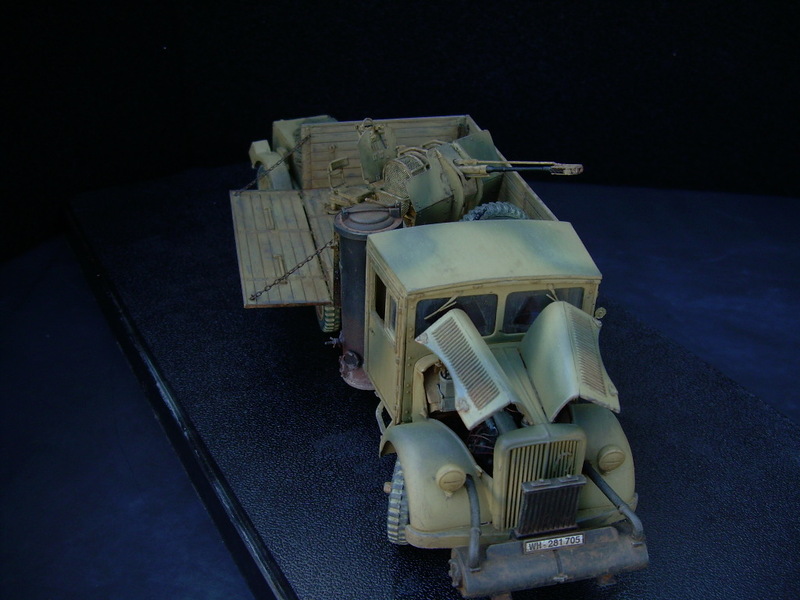 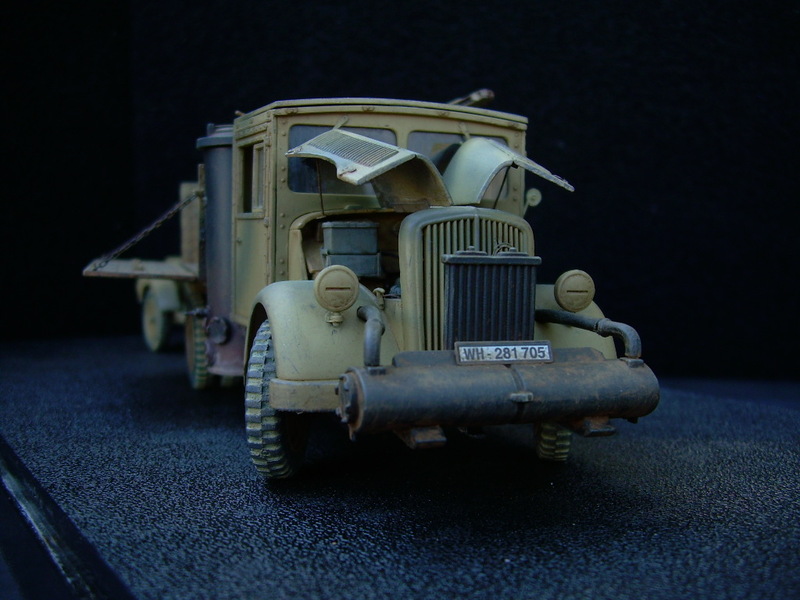 Opel Blitz 3 ton. 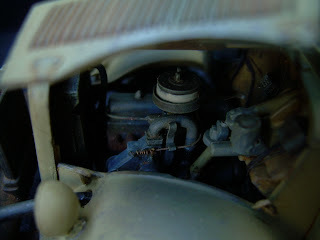 Truck coal engine. 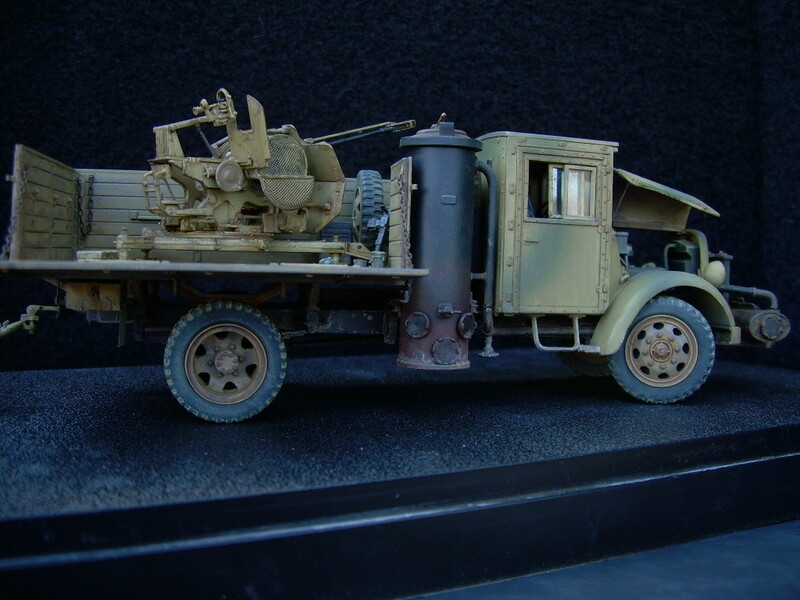 This is the Italeri 1/35 scale kit. 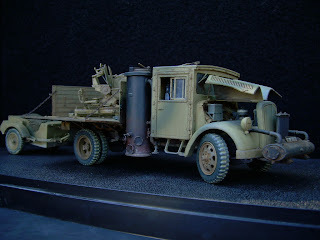 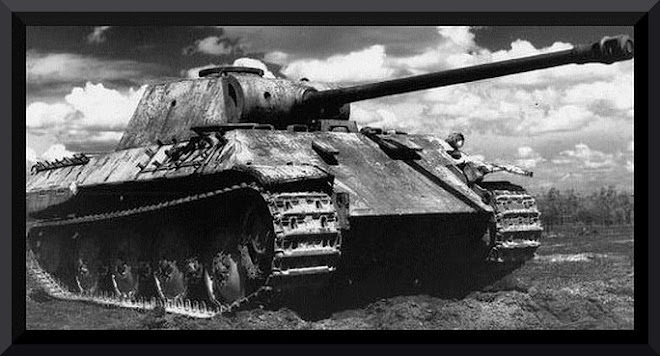 It also has the late war Einheits version of the cab, (wood cab). An Eduard PE set was used for that extra touch of detail. 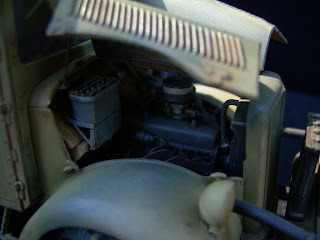 The hood was cut open and most of the detail scratch built for the engine. 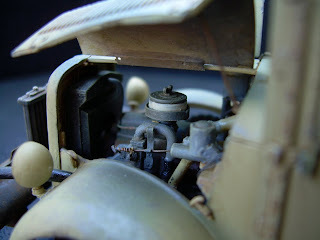 All the windows were replaced with thin clear plastic so that the side windows could be cut and posed open. 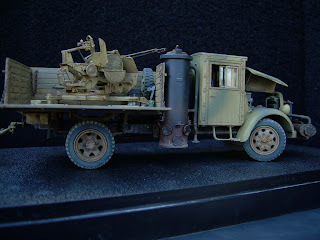 Model Master paints and Tamiya Weathering master pigments finished it off. 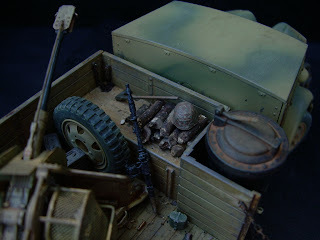 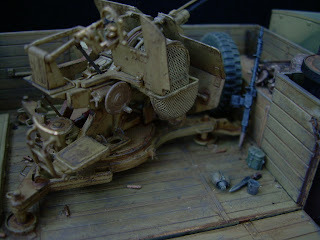 In the bed is the Dragon 1/35 scale 3cm Flak 38/103 Jaboschreck. 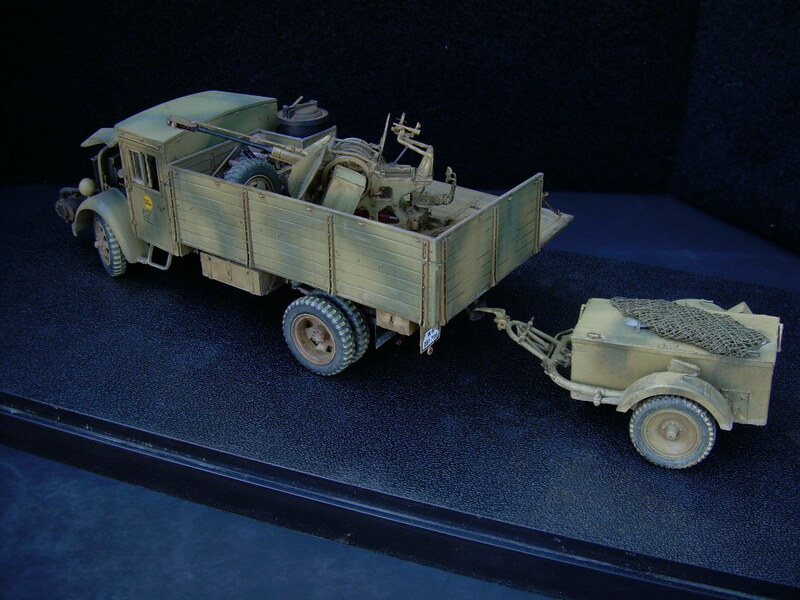 The trailer frame is from the Dragon kit while the box is scratch built.